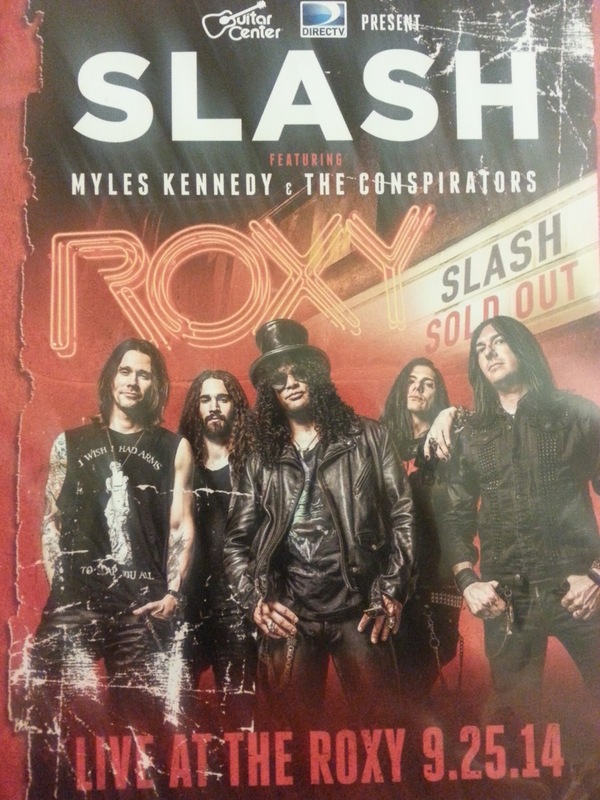 The Otaku House: Slash featuring Myles Kennedy and the Conspirators - "Live at the Roxy 9.25.14"
This sounds good, I'm going to get the cd. I love live music. There's a lot of stuff you can do in the studio that you can't do live. You can eliminate the mistakes and polish all the rough edges but when it comes to energy and power, you just can't beat live. After listening to both the CD and watching the blu-ray I have to say that this is one of the better live releases by any band lately. And it is light years better than the GN'R Live Era album. After 1988, I think Axl's live voice became really sub par compared to the studio. 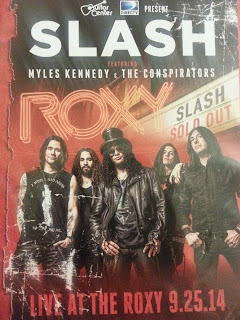 On Live Era it really showed, but it wasn't as bad as the recent Appetite for Democracy garbage. Kennedy's voice holds up well live, though. So does Kearns, for that matter. And both Kennedy and Kearns sing the Guns stuff better than Axl can live. Although the studio version of Axl is a different matter.